These are very handsome belts, and everything anyone could ask for! 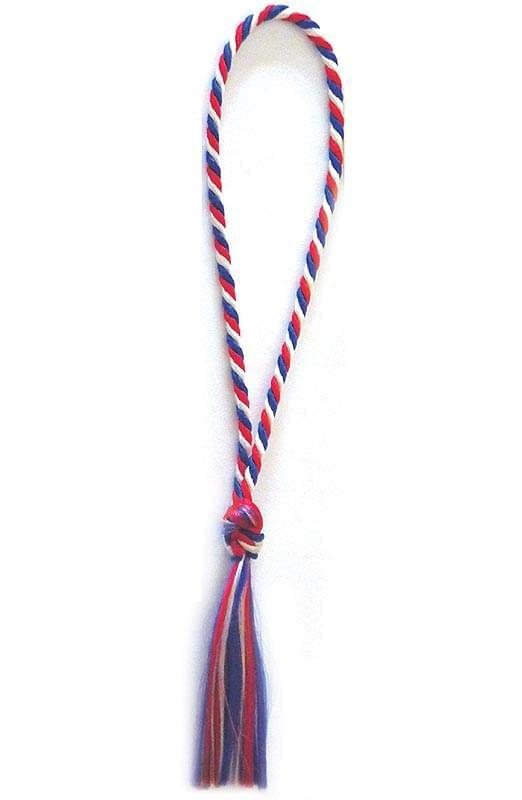 The red, white, and blue are nicely entwined, ending in a soft flair. These are ideal to reward a special performance, a level above the original nine levels in Recorder Karate, or for an all-American song.